Home Human Resources Should You Outsource Small Business Bookkeeping and Payroll? Bookkeeping and payroll administration are delicate and detailed tasks that require absolute care and accuracy, lest you be fined by the IRS. Outsourcing payroll and bookkeeping duties for your small business requires exhaustive research when selecting the right agency or company. Keeping, processing, and reporting your own accounting and small business payroll information may save you money on professional service expenses, but is it really worth it? You could be spending more time than necessary on all the accounting details that you have little time doing what you should be – making money. There are many cases for outsourcing small business bookkeeping and payroll services. Here is how you can determine if it is right for you. Management reports – Your consistent and timely small business bookkeeping will allow you to gauge your financial position at any time through managerial financial reports. Investors/Lenders – If you have investors or are looking for a loan, your current financial records are vital. Ask yourself, “is accounting one of my core competencies?” Many small business owners or managers do have an accounting background with years of accounting studied in college and/or grad school. However, if the thought of accounting causes you distress, or you are certain you could be spending better time promoting and growing your business, you should consider outsourcing your small business bookkeeping. That doesn’t mean you have to hire one of the major national accounting firms. A reputable local bookkeeping service will do nicely to suite your outsourcing needs. However, it is recommended that you use a CPA for your financial tax reporting each year. While small business payroll is considered an accounting function, it is really an entirely different animal when it comes to the nitty-gritty of processing the numbers. Many experts believe that if you have as many as even one employee, you should be outsourcing payroll. However, this can vary depending on your threshold of pain for accomplishing this task in-house. If you do decide that the important payroll tasks should be handled properly and legally through trained and experienced outsourced services, here is a guide to help you choose one. 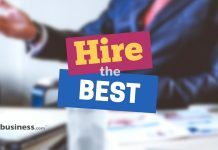 You will want to inquire among your network of contacts for their recommendations on credible services that meet your payroll outsourcing needs. Pose questions and ask how they handle payroll. Who do they use? What pros/cons do they have with their current payroll service? Ask if they would recommend their small business payroll service. These companies are reliable, quick, and reasonably priced. However, read the next section to learn about the caveats before you choose a payroll service for your small business. With any larger corporation, the “Big 3” also offer related products which they will try to convince you to buy. These products may be useful, but ultimately you may decide that these services do not need to be outsourced, already have been outsourced or can be easily performed in-house. These small business payroll services are valuable, but may not suit your current operating plan right now. Keep in mind that you are mainly looking for a service to pay your employees on time, and to file and pay your payroll taxes with the proper authorities on time. Does the service have a web-based platform for you to access and upload data? Does your data get processed, or are potential errors possible with someone else re-keying the data? Does the service charge by the pay period or monthly? If you have employees in multiple states do they charge extra? If you go with a small business payroll service, know your responsibilities. You will be expected to deliver your payroll data by certain dates and in a specific format. As well, you will be required to set up payment schedules for the payroll. Be ready to work with your new vendor to make the process as smooth as possible.